The euro was traded against the dollar in multidirectional directions in the narrow range and by the last session it ended with a small "profit." According to the January forecast, the price pressure will further move to the deflationary territory and the CPI index shall show 0.5% y/y vs. -0.2% y/y in December. The pair euro/dollar is unable to continue its recovery. Its growth attempts have been limited by the resistance near 1.1340-1.1360, although its demand on dips is still preserved. The bulls’ inability to overcome the current maximum can lead to the downtrend resumption. 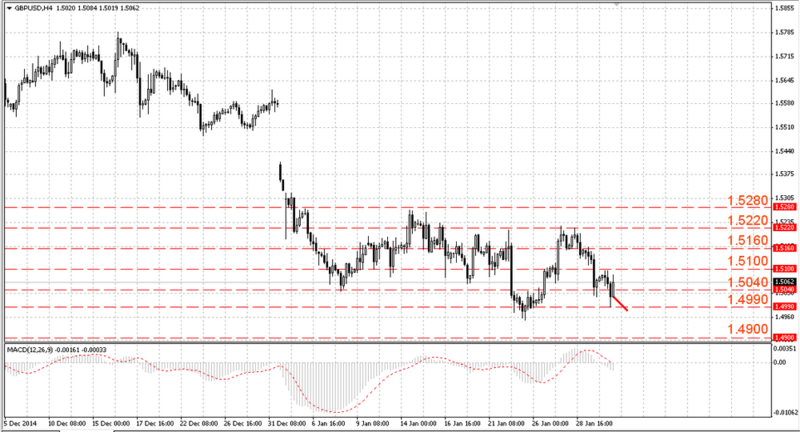 The support levels are 1.1200-1.1220, and the resistance levels are 1.1340-1.1360. The loss of the support near 1.1200-1.1220 will lead to a decrease towards 1.1100-1.1120. The euro needs to grow up and consolidate above 1.1440-1.1460 to continue the upward correction development. The British pound came under pressure. The lack of the UK economic statistics support left the pound under the sentiment influence generated by the Fed messages. The GfK January consumer confidence index showed its result better than expected – it rose up to 1 when the growth to the mark of 2 after 4 in the previous period was expected. The pair’s attempts to overcome the resistance near the 52nd figure were unsuccessful and lead to the return to the support near 1.5020-1.5040. This level is still holding back the bears’ attack but the level of 1.4970-1.4990 was tested. 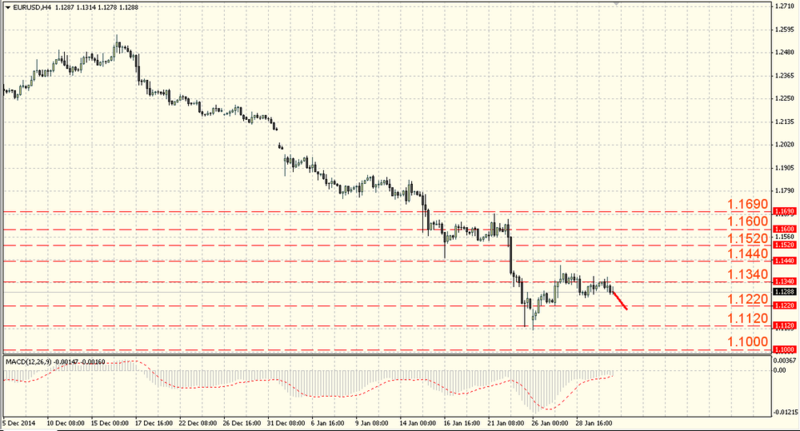 The support levels: 1.5020-1.5040 and the resistance levels: 1.5100-1.5120. 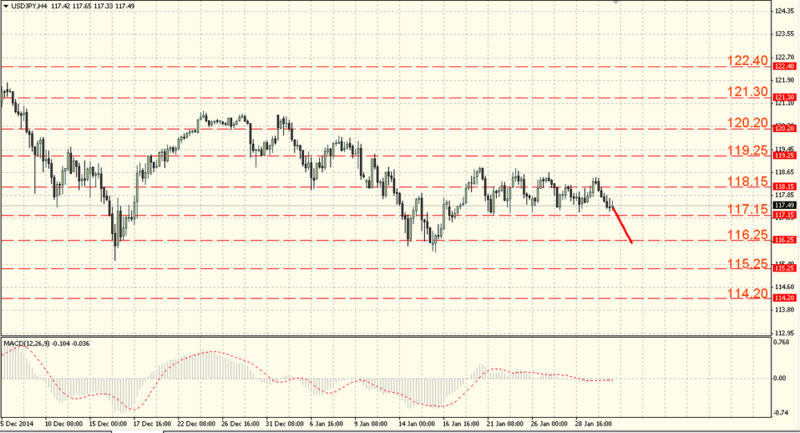 The pair inability to consolidate above 1.5220-1.5240 should be considered as the negative technical factor. After overcoming this level we expect the upward correction continuation. The pair dollar/yen was growing almost all the time during the last week trades but finished the Friday’s trades with a decrease. The household spending volume level fell more than expected in December by 3.4% y/y after -2.5% y/y, as expected -2.3% y/y, but inflation has not declined as expected, the consumer price index in December remained at 2.4 % y/y against forecasted 2.3% y/y. The situation within the dollar/yen has not changed. The pair continues to consolidate in the range. It fell to the level of 116.95-117.15, after it fail to fixate above the level of 118.15-118.35. The further direction will depend on the upper or lower limit breakthrough. Thus, the resistance breakthrough near 118.15-118.35 will lead to the pair growth to the level of 119.25-119.45 and the loss of the support towards the 116th figure.